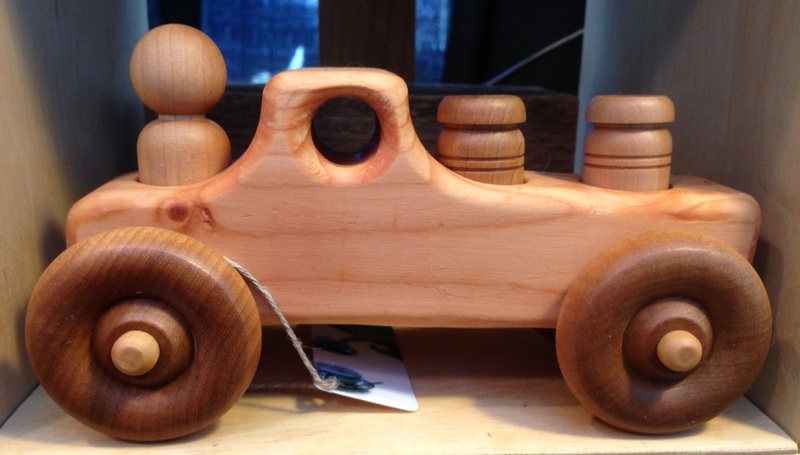 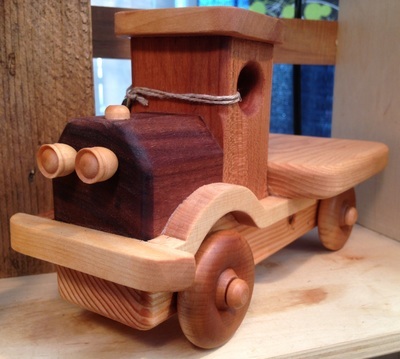 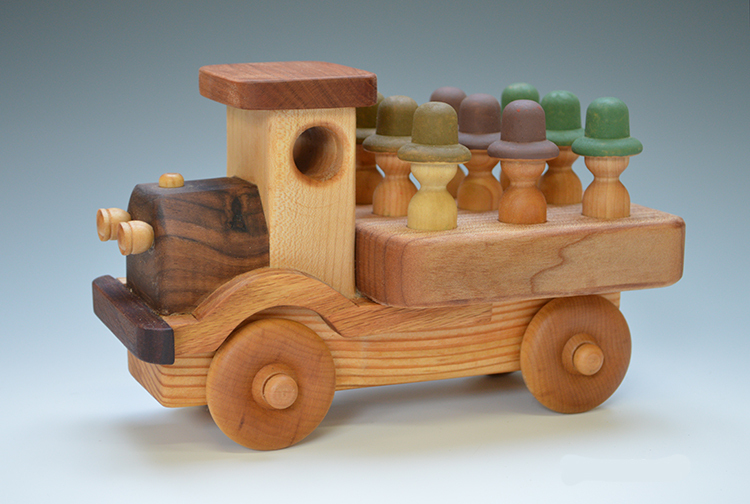 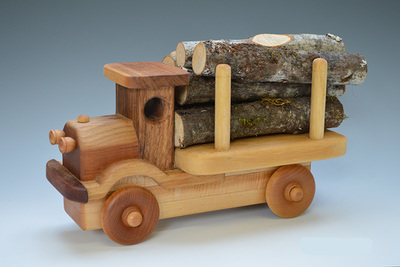 We make an all natural line of wooden toys including trains, planes, a ferry boat, cars and trucks, toy fishing rods with fish and children's brooms. 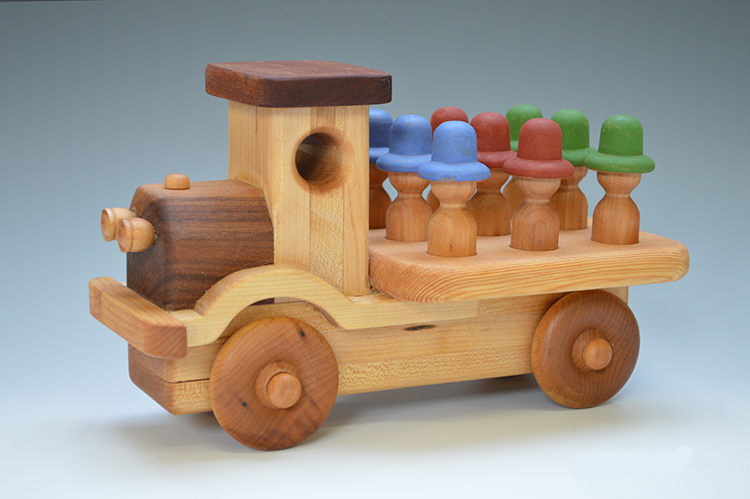 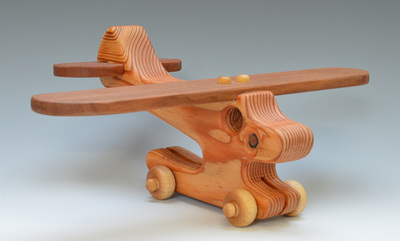 The toys are sanded to a fine finish, providing a smooth finish pleasant to the touch and free of splinters. 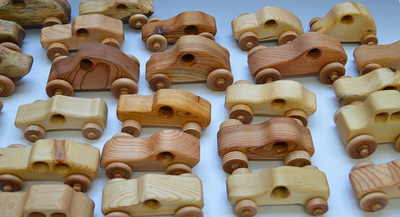 They are oiled with 100% hemp oil which is foodsafe and Canadian grown and pressed. 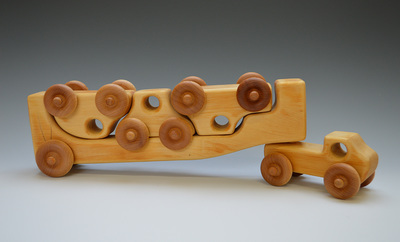 The wheels are maple (a hard and durable wood) and are firmly attached with glue. 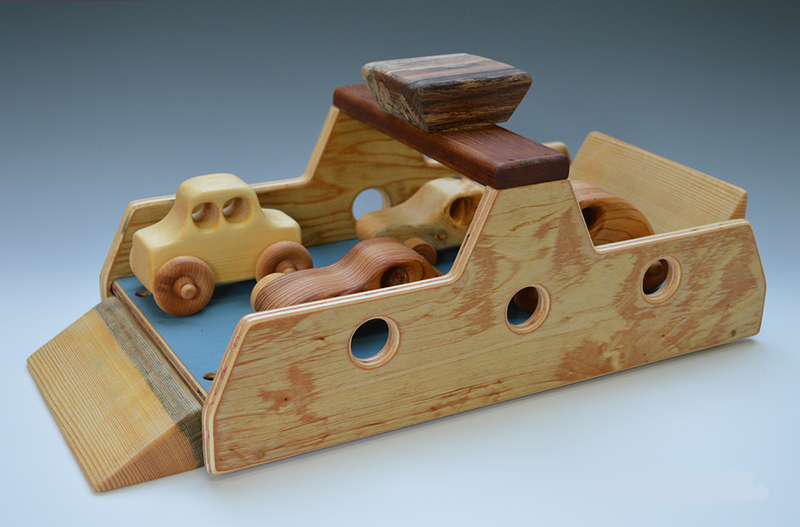 They turn freely and easily providing a fully functioning play experience. These hand made toys are simple yet beautiful and promote creativity and imagination in children. Made from woods destined for the landfill or burn pile. 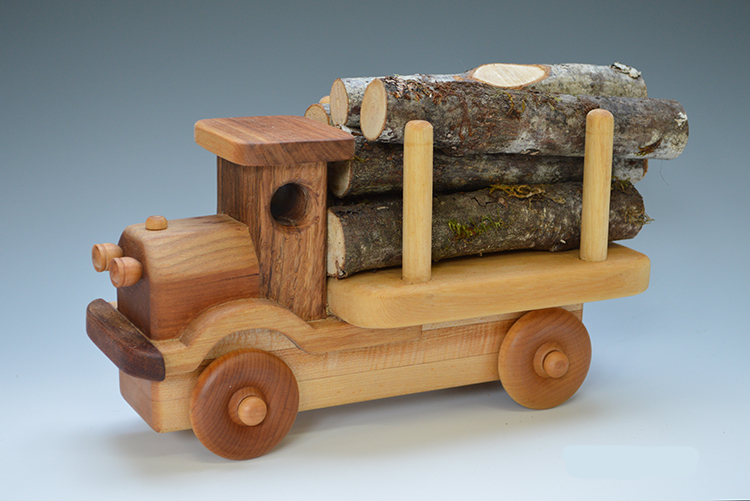 Hardwood train. 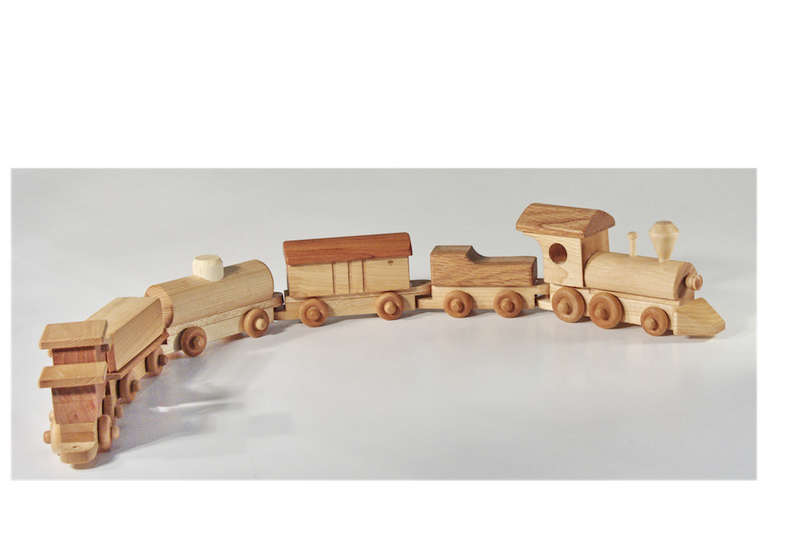 6 pieces including engine and caboose. Ferry boat with removeable ramps. On wheels so it can pushed on the floor. 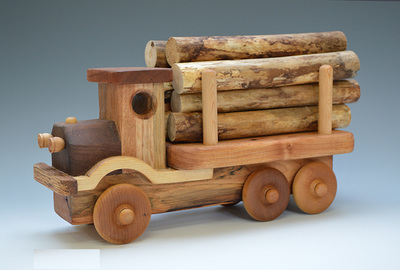 Flat bed truck made from hardwoods. 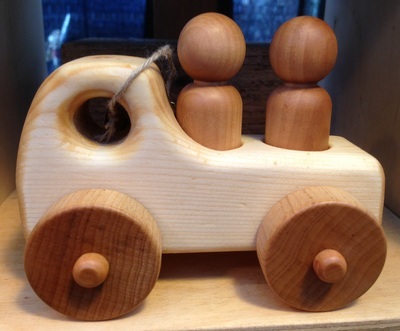 Two people truck (people are removeable). 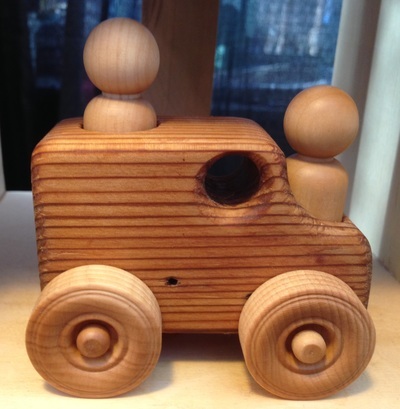 One person and two milk cans pick up truck. 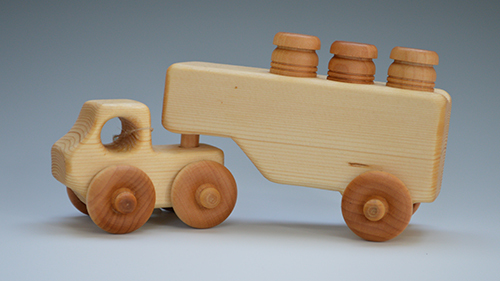 Person and milk cans are removeable. Two people van. People are removeable. Fish (to be used with the fishing rod).